As we progress through fall and head into winter, there are many added headaches involved with owning a home. Increased utility bills caused by freezing temperatures, unwanted repairs, pests, and fire hazards to name a few. Fortunately, Coldwell Banker’s Finn Team will have you covered! 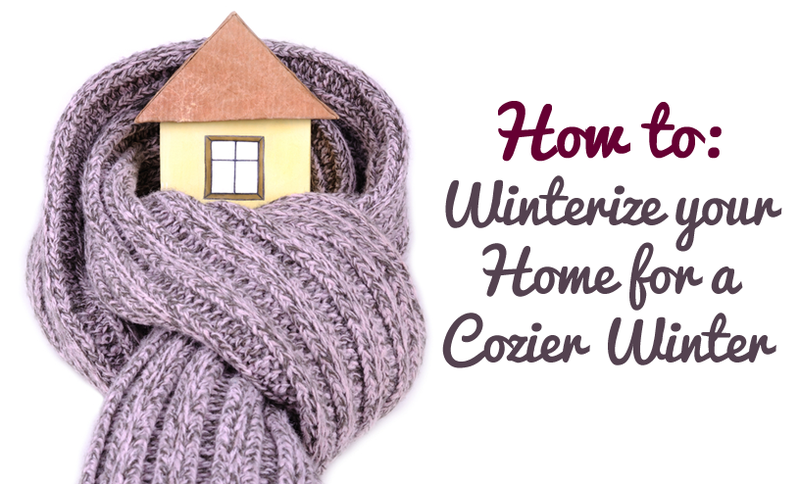 Follow these 10 steps below to ensure a safe and cost-efficient winter in your wonderful home! Be pro-active, not re-active! You don’t want to realize your heating system needs repaired in the middle of the cold winter months. For about $80 to $100 a technician will inspect your furnace or heat pump and ensure it is clean and in top shape. Act soon or you’ll be in a long line of other home-owners seeking the same repair on a cold winter day! With your heat and furnace running all winter long, it is important to replace your furnace filters. With so much heat being pushed through your ducts, it is easy for dust, pet dander and other airborne bacteria to become clogged. This means your furnace has to work harder to push air through. Check and see what the width of your filter is. If you have a 1” thick pleated filter, the rule is to change one a month. With a thicker 3” filter, every three months will suffice. Test your home for air tightness. Many experts advise doing this on a windy day by carefully holding a lit incense stick next to your windows and doors. If smoke from the stick is horizontal, you have identified a leak. Some easy ways to seal air leaks includes caulking, weather-stripping, or installing expandable foam. You don’t want your hard earned money seeping through the cracks! It may not sound like the most fun weekend chore, but it must be done! Cleaning your gutters prevents a multitude of unwanted occurrences. Leaves clogged in the gutters attracts pests and insects to your home. Water damage is another effect of uncleaned gutters. This can lead to mold, mildew and a weaker foundation. Downspouts should also extend at least five feet from the home. Always be safe when cleaning gutters! You don’t want to wait until it’s icy outside. If you don’t feel comfortable cleaning your own, you can always call for help! One of the most common causes of pests and termites entering into your home are piles of leaves and sticks kept near your house. Insects are very attracted to these piles and will eventually trespass into your home! Take the necessary steps to stuff your leaves into garbage bags and leave them out for the trash man. If wish to keep large piles of fire-wood, make sure you don’t have them on the side of your home! If your pipes burst, so will your wallet! Undrained water in pipes freeze, which cause pipes to burst as the ice expands. Disconnecting all garden hoses and draining the remaining water will prevent this from happening. Often, you should have an interior shut-off valve in your home near where the exterior faucet lies. This includes lawn irrigation systems as well! It may be as simple as replacing batteries, but having fully operational smoke alarms and carbon monoxide detectors is vitally important. It is good practice to change batteries every 6 months and replace the whole device every five to ten years. Also, make sure your carbon monoxide detector isn’t too close to the furnace or fireplace or false alarms will be triggered. When it’s freezing outside and you want to keep warm without breaking the bank, turn on the ceiling fan! Running fans in the colder months can actually save up to 10% on heating costs and it only involves flipping a switch! During winter months, the warm air generated by your heating system rises to the ceiling fan and colder air sinks. By switching the direction of your fan blades, the cool air is drawn upwards and warm air is forced downwards! There is usually a small “Reverse” switch on the fan. Finally, Stock Up On Salt! With a plentiful supply of salt or ice melt, you can eliminate ice and snow at its source. Whether it be the driveway, patio or walkways up to the door, these surfaces are extremely dangerous when icy and can cause nasty falls. Stock up before a huge snowfall or ice storm to ensure you are able to get your hands on a big bag of salt. You can get these at your local hardware store or at many Grocery stores like Walmart or Kroger. ← Renovated Home Coming on the Market Soon in Mount Lookout/Hyde Park!